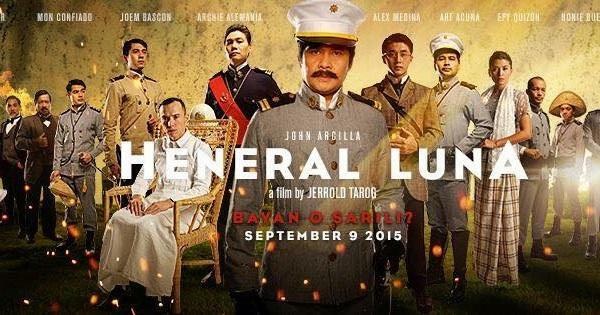 There’s no doubt that Heneral Luna can be considered the most ambitious historical film of all time in the Philippines. With a budget of ₱80 million pesos, the movie had definitely been bigger than expected. The latest revenue record (Oct. 11) is ₱240 million pesos. The blockbuster earning is proof enough that it is yet the biggest and most clamored history film. The movie was adapted from a TV script written in 1998 which was originally intended for the 100 year Philippine independence. When it didn’t push through, a full length feature film transformed the original work into the epic story that it is today. We can say that’s more celebrated than any other movie based on our national heroes, yes even Jose Rizal based flicks. What makes Antonio Luna an interesting topic is his sort of anti-hero sentiments. While many thinks he was the villain during his time, the movie is actually an eye opener. Hence, those lines resound as truth when he said, "Mga kapatid, meron tayong mas malaking kaaway kaysa sa mga Amerikano – ang ating sarili.” It was actual Emilio Aguinaldo or rather his political counselors who were deemed as more villainous. This movie made me remember an old conspiracy theory material I read years ago accusing Aguinaldo as the real culprit behind Andres Bonifacio’s death due to his own personal political aspirations. In IMDb, Heneral Luna is currently rated as 9/10 by 689 users while in Rotten Tomatoes, it’s currently rated 4.5/5 by 33 reviewers. The latter is known for really rotten review users, even mainstream popular Hollywood movies; hence, to find films with good ratings is rather rare. Although a number of sources allow video streaming or even download of movies like Heneral Luna, most require you to install certain software to download or watch films. If not, it’s heavily advertising through popup links and other ads. So watch at your own risk.